It is an object-oriented language. In the early 1980s, it’s developed by Bjarne Stroustrup. It supports both structure and object-oriented programming language. These programs are easy to maintain and expand. We can say that this is a middle-level language as it interacts directly with hardware. It is a combination of low-level plus high-level features. We can say that it’s an extension for a c programming language which is procedure oriented. And it supports the object-oriented paradigm. It introduces OOP (object-oriented programming) which is nothing but the structure of the program. It uses a blueprint to create new objects. With this blueprint, we can create different modules as per requirement. There were some pitfalls in the existing approach. OOP is a concept, Which used in C++. And also it’s not, particularly with C++. If you see any high-level programming language those are using OOP concepts. How does C++ make working so easy? There are some features of OOP’s. Which by default make C++ a very powerful and irreplaceable language. Bookish definition of encapsulation is “Wrapping of data in a single unit”. Like a class, its wraps data member and methods under a single class. Encapsulation is the most striking feature of the class. Poly means many, morphism means forms. Polymorphism means the ability to take many forms. This feature enables to use the same name with different functionality depending upon object passed to it. Inheritance is the main aspect of OOP. This feature gives the idea of code reusability. Inheritance adds extra features without modifying existing class. its extends class and gives the benefit of using members of a previous class. Same as the parent-child relationship. What can you do with C++? Most of the programmer come across the task which needs more security and ability to be flexible enough they select C++. It has a power that we can use it anywhere like making Anti-virus, games, server-side programming and the most important one is Operating System. Working with this language is so easy. There are many ways nowadays to run your C++ programs. We need an Integrated development environment to run our code. 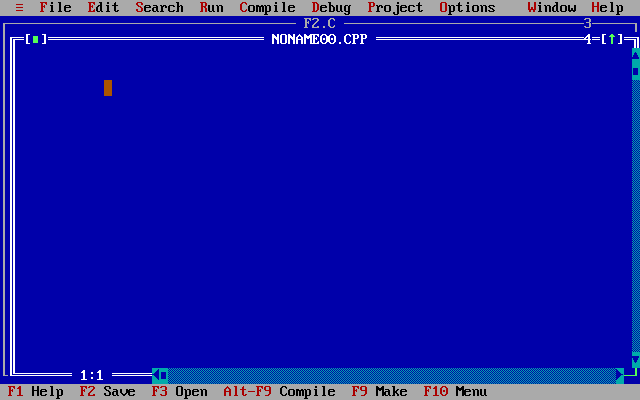 You can use Turbo C++ which looks like below screenshot. There are many IDEs available in the market. Select any one and start coding. It will open a new file. You can see the RUN option at menu bar click on it. It will expand and again click on run under submenu or simply press CTRL+f9 on the keyboard. This will run your code and will show you in a compiler. When you are coming to learn to programme you should always prefer to run code alongside. Download IDE and start running code. Obliviously the first one is it’s an Object Oriented programming language (OOP). It uses Pointer concept which is really powerful. It is quite fast as compared to other high-level languages. This is platform independent. Support many devices. It has a robust performance. No one can debate on this. It has a rich functional library. Initially, when we are talking about computer languages my suggestion is to always start C++ as your first language. This language clears all your doubts. So, you can catch up with any language. To become a software developer or to learn C++ you must know the OOPs concept. A computer doesn’t understand the high-level language that what we speak like English. It only knows binary 0s and 1s. Some fundamental knowledge of how language communicates with the computer. It’s an added advantage that how the computer works. And you are good too for it. Why should we use C++? The idea of getting a job with C++ is not a thinking process of the people these days. The people who are currently looking for a job or which are already in a job will not think about C++. As a requirement comes there are fewer programmers who really know it. This is the main reason to learn it. And the other point of view is As many times I say its performance which makes it irreplaceable at some point. It has an endless scope. As it also supports graphics. If you got the right path of learning this language deeply then you will find out why still there is scope for such an old language. In this area, everything we want has a time constraint. It can directly talk with the OS. The work done in this language is very fast. As per the optimization point of view, it’s best ever to use. Why do we need C++? Who is the right audience for learning C++ Technologies? As such, there is no restriction to learn this language. But if we think that to get into the unique requirement of IT today which performs crucial roles, then you can think about it. Why? 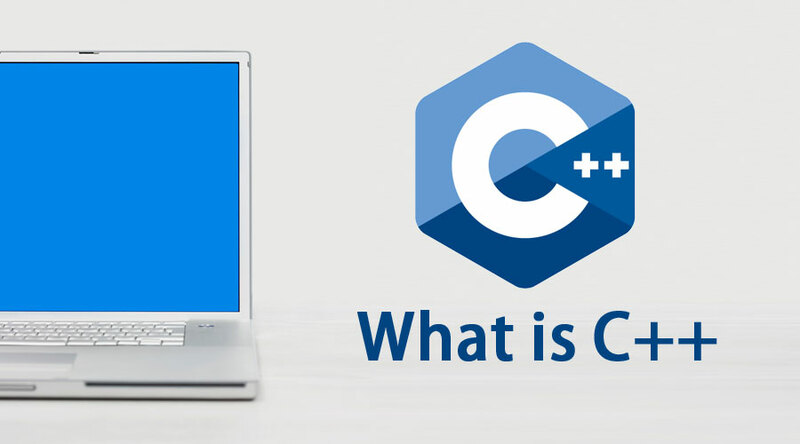 C++ is the language which can be used for particular people who works in high-level security, and high-performance applications. When we need something done in a fraction of seconds and we can’t afford the delay then we must consider C++. As a programmer, everybody prefers to go for a language which is easy to understand. Such as high-level languages which include JAVA, C# etc. But the point is when it comes to the performance no one beats C++. If you know C++ then you can learn any language in less amount of time. It takes your career one step ahead as you know the concept already just need to modify some syntax. It will increase your grasping power. It helps you in the motto of continuous learning and self-development. At this point as a beginner, I just want to suggest you that go for it and learn. You never know what comes your way and how it will get encouraged by small learning steps of C++. It is a peak once got you will never lose your aim in your journey.